Yup, exactly what it says on the tin. The site amalgamates photos from the collections of many prolific railfans, including midwestern tower enthusiast John Roma, and pretty much just makes a list of towers, sorted alphabetically by state, with direct links to the high res photos. Most of the photos are from the 1960's through the 1980's, although some are from the "pre-historic" period before World War 2. 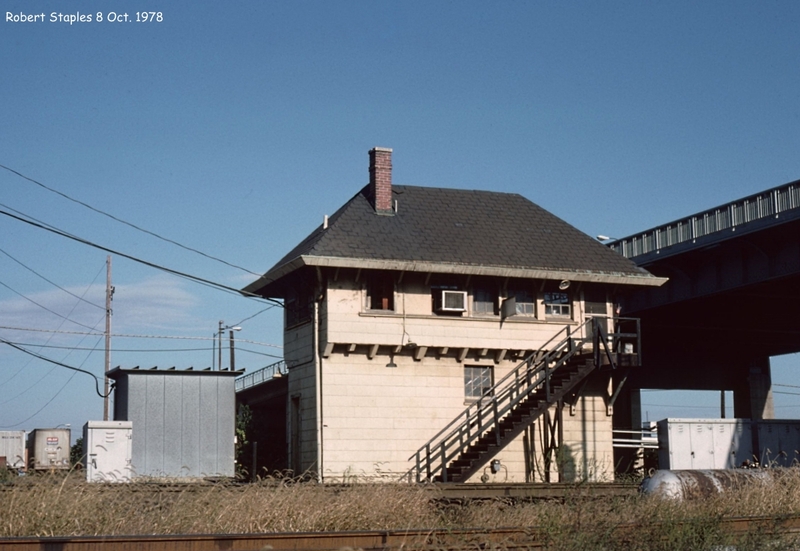 There are especially good collections covering the New Haven and other railroads that used wooden towers that never made it into the modern era to be photographed. 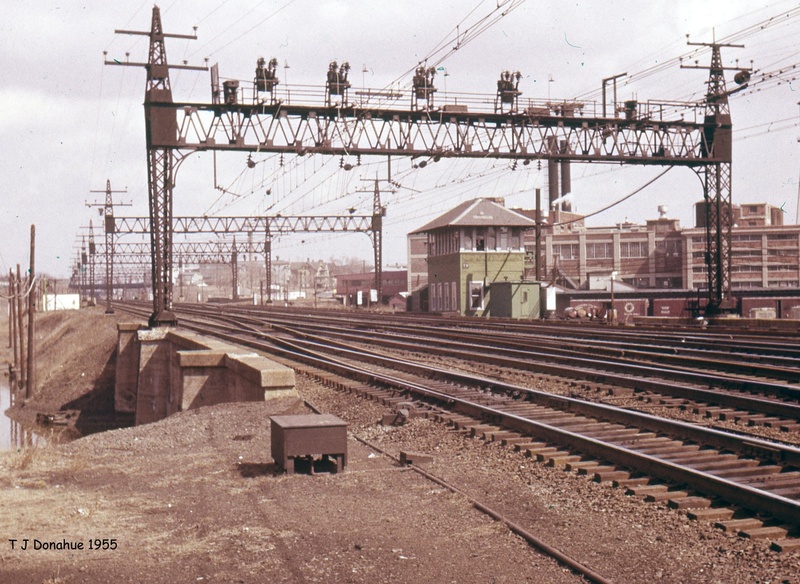 SS79 MILL RIVERwith active New Haven catenary. Some of the towers have diagrams included and some of the photos are extremely rare and interesting interior shots. This will surely come in handy as a historical reference for some of my line surveys. For example, I re-discovered photos I had lost links to when the old JD Tower website died. Time to update my CARROLL interlocking page again. Anyway, I highly recomend this site and make sure you leave yourself some time as you'll quickly lose a few hours clicking on non-thumbnailed photo links, itching to see what secret they hide. If you make this site a recurring habit, there is also a "what new" page.